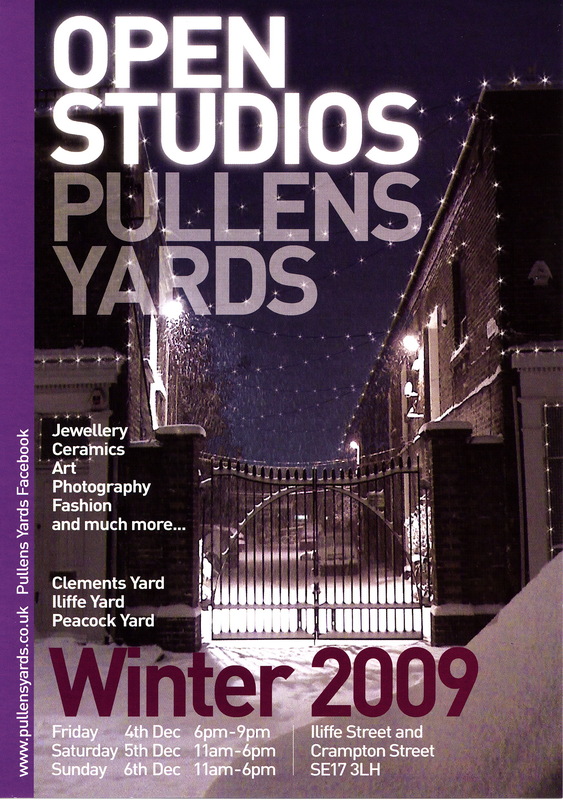 It’s that time of year again, when the lovely folk of Pullens Yards open up their studio doors to show you their wonderful wares and help you solve your Christmas shopping dilemas. I will be making a guest appearance once again in the studio of my wonderfully talented sister Linda Brooker. I’m not sure we will be able to muster the wonderful snow scenes on the invite, but these lovely cobbled yards set up with their twinkly lights, mulled wine and mince pies set a very atmospheric scene, perfect for getting you in the mood for Christmas. So please come along and see us. We’ll be in studio 6, Peacock Yard. 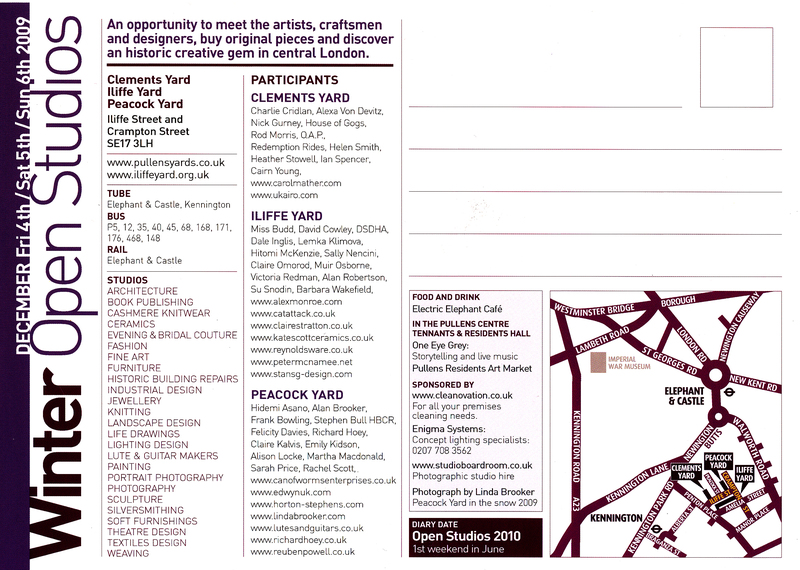 And another top tip to get you tempted, Alex Monroe the supremely talented jewellery designer will be in Illife Yard…..
See you there – but not Sunday. Those of you who know TheCityRoad, he will be standing in for me while I take part in another Christmas sale I just could not miss, in the William Morris Gallery. More info in a new post to come…..